For one retail clothing chain they wanted to get to the bottom of fraud perpetuated at the Point-Of-Sale (POS). In particular, they were concerned that dishonest employees were eroding profits and revenue by performing refunds when customers were not present. Recently, the loss prevention team had noticed an unusually high number of refunds being processed. Using their existing video system analysis of video was a manual process, task that is challenging and time consuming, especially in a situation where a large amount of video must be reviewed. The clothing retailer realized they needed to change the way they were managing their video surveillance and fraud prevention efforts. ClickIt presented a solution which included installation of the SmartCamXi video management system using megapixel and IP camera. Using analytic tools this retailer can analyze recorded video and present results in record time – identifying suspect refund transactions. 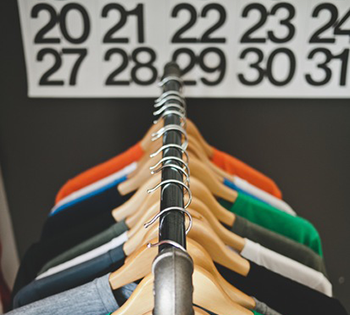 The clothing retailer initially looked to obtain loss prevention assistance, however once exposed to the full range of retail analytics the clothing retailer realize they could gain invaluable insight into customer behavior throughout the store. Accordingly, a wide range of retail analytics features were introduced.